Today, producing, using and editing digital resources are part of a researcher’s daily tasks. Digital formats, along with the development of the internet, have greatly facilitated the dissemination of iconographic, audio and/or audio-visual resources in the academic world and beyond, to members of the public who are increasingly curious about and interested by the documents produced by academics. The current movement towards open access encourages us to make the resources that we think of as being ‘public’ available to the public in reality. Institutions must know how to respond to the questions on the rights of authors, interviewees and those represented in images posed by their open-access projects, as well as by researchers, who now regularly publish online and often find themselves confronted by legal and ethical questions to which they are not always sure how to respond. What can institutions who wish to make the most of documents created in the research process do, and what should they not do? Can they facilitate their (re)use not only in academic contexts, but also in the social and cultural spheres? What code of professional ethics should a researcher follow when he or she wishes to use an image or an audio(visual) recording in his or her work? Can they semantically enrich the resources made available on their site (i.e. via metadata)? Can they alter works or integrate other data/information into a resource? How can researchers and their institutions protect the confidentiality and anonymity of certain information when depositing fieldwork materials in an archive? How can we respect the rights of individuals who have been photographed, filmed or recorded during the research process? Can we find a balance between the right of open access to information and respect for copyright? To attempt to respond to these questions and define a professional code of ethics, two study days have been organised, at Tours on the 26th of September 2011, then at Aix-en-Provence on the 29th of November 2011. Highlight concrete examples of institutions and/or individuals who make iconographic, sound and/or audio-visual resources available online, or who wish to ‘restore’ such resources to the countries where the resources were gathered or created. Analyse the possibilities or the room to manoeuvre offered by legislation and jurisprudence for the non-commercial use of iconographic, sound and/or audio-visual documents for educational or cultural purposes. Beyond the legal issues, there are also ethical questions which must be raised in order that the use or online publication of research data or resources not harm the individuals or societies from which these data or resources were collected. Documentary resource centres such as the Phonothèque de la MMSH (MMSH Sound Archives) or Crévilles which are developing initiatives for the online publication of open-access multimedia electronic research resources are daily confronted not only by questions of intellectual, artistic and literary property rights, but also by the ethical issues which may be raised by the utilisation of these resources. The aim of these study days is therefore to bring together information professionals, experts on intellectual property rights and ethics and the researchers facing these issues in order to define and clarify the best practices in this field, drawing inspiration notably from the Council of Europe Framework Convention signed at Faro in 2005. This convention on the value of cultural heritage for society encourages reflection on ethics and the development of digital technologies for the improvement of access to information, particularly for educational purposes, while protecting intellectual property rights. The proceedings of the two days will be published in French and English on the website Revues.org in the MMSH’s Bulletin du Pôle Images/sons, pratiques du numérique (published on the platform of Cléo/Revues.org). This electronic publication will prompt the launch of a targeted call for contributions permitting researchers and specialists who were unable to participate in the study days at Tours and Aix-en-Provence to contribute their comments and critiques of the initial reflections directly on the publication site, in a spirit of interactivity and in preparation for the collaborative authoring of the Best-practice guide for the dissemination of research resources and publications in the humanities and social sciences : Questions of rights and ethics. The second study day in Aix-en-Provence will be followed the next day by a workshop launching the Best-practice guide writing project. The guide will be published in the first half of 2012 in an electronic, bilingual French-English format. This workshop will be the occasion to outline together the structure and content of the Best-practice guide and to divide up the workload amongst the participants in this authorship project. This project is supported by the Consortium des ethnologues (Corpus Infrastructure de recherche), under the authority of the LESC (Laboratoire d’ethnologie et de sociologie comparative, MAE, Nanterre). Introductory address by Mélanie Dulong de Rosnay, Doctor of Laws, Chargée de recherche at the ISCC where she is the co-director of the research centre “Gouvernance et usages de l’Internet” (Governance and uses of the internet) : Les outils juridiques à la disposition du chercheur pour protéger et diffuser ses données scientifiques (Legal tools available to researchers to protect and disseminate their academic datasets). Marie-Dominique Mouton (Ingénieur de recherche, manager of the Éric-de-Dampierre library, Laboratory of Ethnology and Comparative Sociology, MAE Nanterre, ethnologists’ archives division). Véronique Ginouvès (Ingénieure de recherche, manager of the Phonothèque de la MMSH (MMSH Sound Archive), Aix-en-Provence). Judith Hannoun (Manager of the CREDO library, Maison Asie Pacifique, Marseille). Bernard Bel (Research Engineer at Laboratoire Parole et langage (Aix-en-Provence), in charge of the CRDO-Aix long-term preservation service). Using televised images in a research context: what permissions does the INA (National Audio-visual Institute) grant ? Marie-Christine elias (Responsable documentaire et commerciale, INA PACA). An archivist’s summary : Denise Ogilvie (conservateur du patrimoine at the French National Archives, 19th century division). A jurist’s summary : Anne Cammilleri (Maître de conférences Université Paris Descartes, UMR 6201 “Droit public comparé – Droit international et européen », Université Aix Marseille III). 30th November 2011: Meeting at Aix-en-Provence to organise the writing of the Best-practice guide for the dissemination of research resources and publications in the humanities and social sciences : Questions of rights and ethics. Guitar being played by Tom Walton: White Springs, Florida. Photographié le 4 juillet 1982. Collection « Florida Folklife » de la bibliothèque et archives nationales de Floride. Peremalien : http://ibistro.dos.state.fl.us/uhtbin/cgisirsi/x/x/0/5?library=PHOTO&item_type=PHOTOGRAPH&searchdata1=fs82130 Pas de restrictions de droit connues. Publications de Véronique Ginouvès sur HAL SHS. 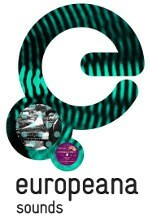 Europeana Sounds (n°620791) is co-funded by the European Commission\'s ICT Policy Support Programme as part of the Competitiveness and Innovation Framework Programme. La phonothèque de la MMSH réunit les enregistrements du patrimoine sonore qui ont valeur d’information ethnologique, linguistique, historique, musicologique ou littéraire sur l’aire Méditerranéenne. Pour développer l’accès à ces archives qui documentent des champs peu couverts par les sources conventionnelles, l’équipe de la phonothèque réalise une veille active dans le domaine des Digital Humanities et vous la fait partager dans ce carnet. Les notices et une partie des enregistrements sont accessibles sur la base de données Ganoub (le Sud en arabe), sur Calames, Isidore, le portail du patrimoine oral, Europeana et CLARIN. Conférence-débat : Comment et pourquoi intégrer l’approche anthropologique aux projets de développement ou au monde associatif ? Mise à disposition des pages et des billets de ce carnet selon les termes de la licence Creative Commons Paternité 2.0 France, sauf indication contraire de l’auteur du texte. Les images et les vidéos demeurent placées sous leur mention légale d’origine. Lorsque vous publiez un commentaire sur ce carnet, vous acceptez définitivement de le placer sous la licence CC-By. Les archives sonores entre demande sociale et usages scientifiques. Quelles modalités pour réutiliser les sources enregistrées ? En cliquant sur ce bouton, vous serez redirigé(e) vers le service d’abonnement OpenEdition. Cochez Hypotheses.org puis sélectionnez ce carnet dans la liste.